One King Bed - Located in a 6 story building in the heart of Georgetown on fashionable Wisconsin Avenue, this sun-filled 250 sq ft room features one King bed with plush pillows, soft triple-sheeting and thick duvet piled upon a pillow top mattress. Complimentary WIFI, Biz-Ctr, cardio room, turn-down and shoe-shine. 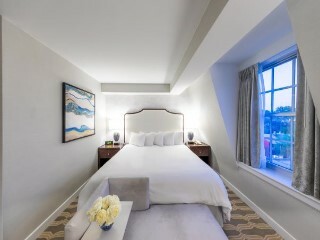 2 Queen Beds - Delight in a splendid host of amenities within this exceptional room with 2 queen beds. 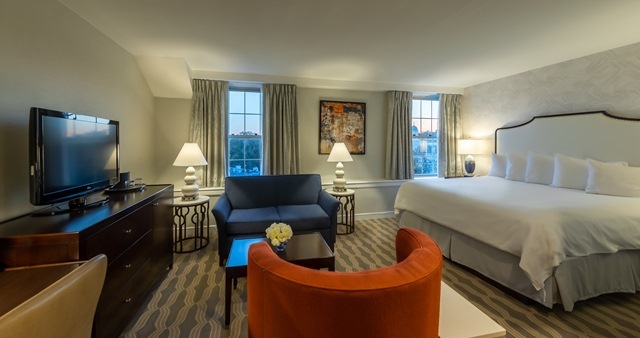 Productivity and luxury combine blissfully in our Georgetown Rooms, which offer a variety of views. 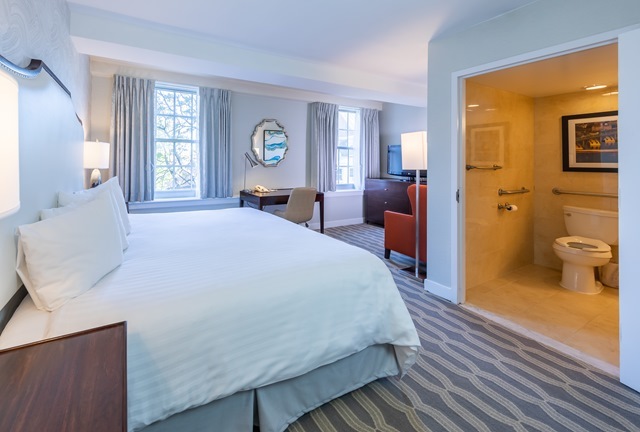 Located throughout the six-story splendor of the Georgetown Inn, each of these lavish DC Georgetown lodging options features a spacious room with two queen sized beds and an enlarged living room area with entertainment center. They are ideal for families or groups looking to share a room in style. 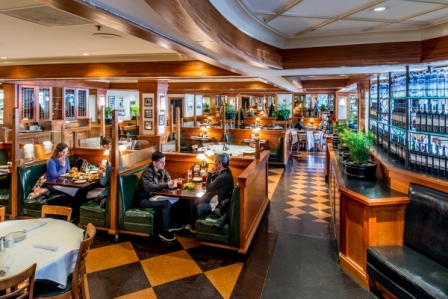 Complimentary WIFI, Biz-Ctr, cardio room, turn-down and shoe-shine. Approximately 400 SF. 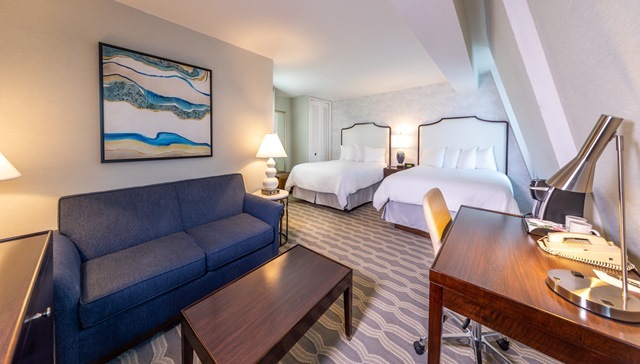 One King Bed with separate living room - extra luxury in our Georgetown Suite, boasting a spacious living room area, entertainment center, stereo CD system and a work desk area. The master bedroom area with one king bed and plush pillows, soft sheeting, and a duvet piled upon a pillow-top mattress. 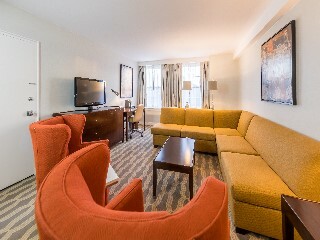 In addition, each Washington DC suite has enlarged closet space, plush bathrobes and slippers. Complimentary WIFI, Biz-Ctr, cardio room, turn-down and shoe-shine. Approximately 600 square feet.